If you dream of spawning a mini me or three one of these days, you might consider keeping that laptop off your lap and curbing your cell phone use just a touch. Don't panic. No one has proven for sure that technology damages male fertility. But increasing evidence links the heat and/or electromagnetic frequencies coming from cellphones and laptops with less-than-optimal sperm. A report out today says electromagnetic wavelengths from your laptop's Wi-Fi can fry your sperm—that is if you've ejaculated and your swimmers are hanging out in a cup below your computer. Not exactly a real-world scenario (one hopes! ), as Dr. Robert Oates, president of the Society for Male Reproduction and Urology points out in this Reuters article. Still: fried sperm. The study out today in the journal Fertility and Sterility is apparently the first to look at the effect of electromagnetic frequencies emitted from a laptops' WiFi signal. But a handful of other studies have shown that electromagnetic frequencies from cell phones can also damage sperm. One of those reports, study published in May, found that cell phone use increased testosterone levels rather than damaging the sperm directly. The men in the study also had lower levels of luteinizing hormone, which helps convert testosterone into the potent kind that fuels reproduction. And then there's the more direct danger of taking "laptop" too literally: previous studies have found that heat emitted from laptops was a future-baby killer. The research showed that a computer resting on your lap could increase scrotal temperatures to a sperm-toasting degree. So with all these possible threats to your spermatozoa, why not protect the little guys? It's not that hard to keep your laptop off your lap, or talk on the phone less (don't men mostly not love talking on the phone anyway?). More than 6 million women in the United States have trouble getting pregnant—the problems come one-third from women, one-third from men, and the other third is a combination of the two. 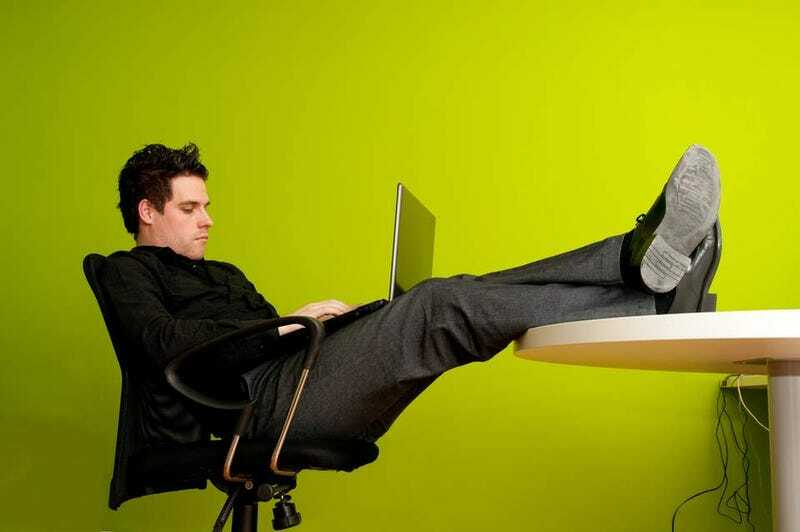 Kicking your feet up on your desk, laptop jauntily perched on your lap might give you a certain je ne sais quoi. But you'll be just as charming sitting upright in your chair with your sperm swimming around vigorously. Is The Internet Killing Sperm?